Richard Christiansen first learned about selling during a “vaudeville” upbringing on an Australian farm that, in the wake of a drought, lured Japanese tourists with attractions like sheep racing. Outback life was isolating for Christiansen, but it also fueled his fascination with pop culture—which would eventually lead to roles as creative director at magazines like Benetton’s Colors, Milk and Suede. 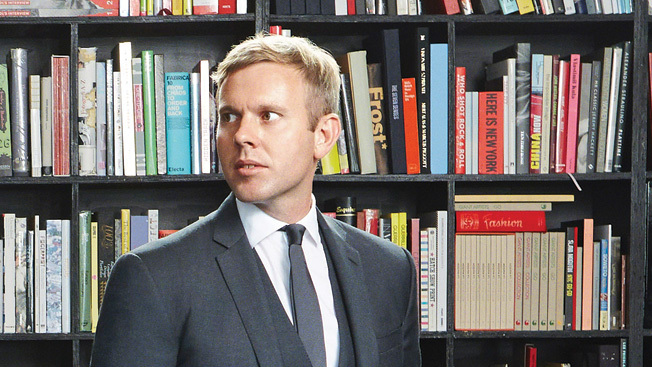 Christiansen launched Chandelier Creative in 2005, and his client list has since run the gamut from Old Navy and Target to Ferragamo and Bergdorf Goodman. But Christiansen—who serves as a Clio Image Awards judge—hasn’t forgotten his early rural inspiration. Chandelier maintains a surf shack in Montauk, N.Y., where his creative team and clients work and live (with family, partners and pets) during the summer months. Adweek: Why did you move to New York and enter the fray of the city’s ad agency world? Christiansen: There was a need for a new type of creative solution. People were talking about content, content, content. My team and I had all worked in publishing and knew how to naturally tell stories around product. What are the major influences on the work you do? I’ve been inspired by the places I’ve lived. In Italy, I respected Benetton’s approach to entertainment versus just selling stuff. In Sweden, I found design simple with meaningful solutions and a bit of wink. Australia is the land of sunny optimism and democratic fun. I purchased a place in Los Angeles to act as a creative hub, and it reminds me of Australia. People have more time to live, think and solve problems. You were a co-founder of Commonwealth Utilities menswear. Can you tell us that story? I started it with my close friend Anthony Keegan. It was originally a creative project for the agency. We had done so much work aimed at women, but we knew men shopped differently. We had also worked so hard crafting visual identities for other brands, and we wanted to try something for ourselves. More importantly, we got to know the way the entire industry works: trade shows, sales teams, factory minimums, international presentations, runway show, buyers, etc. It was a huge lesson on how to build a successful brand outside of just marketing. What are some of the bigger cultural trends resonating in retail communications right now? People are asking “Why?” and “Why should I care?” What we do must have purpose and meaning, and it needs to be conceptual in design. There’s a greater appreciation of nostalgia, makers who design with care and craft, whether a typeface or a store interior. This can still be very modern and clean. It just has to have creative credibility. Will you be looking for that in Clio Image submissions? I’m looking for an authentic design voice, a smart solve to a complicated problem. How does a designer or a creative person break apart what they have been given and piece it back together with just the essential components? By the way, what’s the fascination with all the metal airplane models in your New York office? I was always fascinated with airline branding and marketing. It’s been one of my greatest passions in an industry full of great problems to solve. Collaborating with an airline is something I am determined to do soon.